The MacDougall of Dunollie Preservation Trust has moved to build a museum store, shop and gallery space within a collection of B-listed abandoned steadings at Dunollie Castle, near Oban. 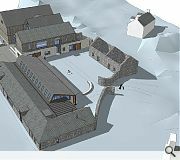 Overseen by CP Architects, with support from conservation architect Barham Glen, the scheme encompasses an old byre, home, ruin and walled garden, all of which will be returned to use as a visitor hub for the attraction. 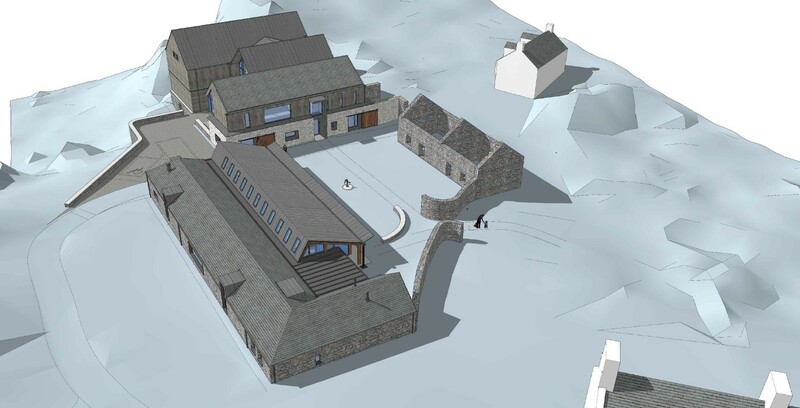 Intended to encourage more tourists to stay within Oban and its vicinity the project will draw on the Medieval heritage of the surrounding landscape, which predates the formation of Oban itself in the 18th century. 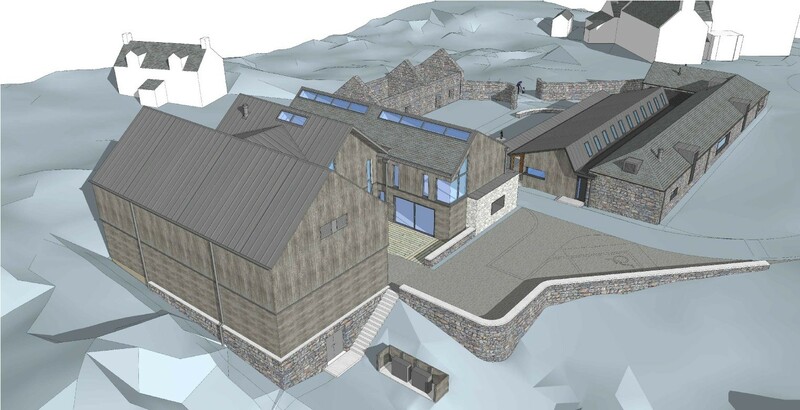 Retaining the distinctive purple schist stone of the existing byre a new circulation spine will be routed alongside under a contrasting lightweight timber structure. In a statement the architects wrote: “The lightweight timber structure to the open plan café imitates a tree canopy and deliberately contrasts with the solid shell of the byre to reflect and juxtapose new and old, extending and opening up to provide shelter on the courtyard side. 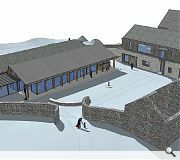 A former barn, previously converted to accommodation in the 1970s, will be adapted to house a 300sq/m collections store and offices, retaining only the masonry frontage and gable walls. 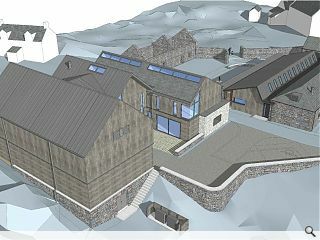 A modern timber-clad extension will then be inserted behind. That is one long inaccessible valley/flat roof - good luck with that. Does it rain in Oban?